20 Celebs Who Are Proving That Immortality Is Real By Rockin' The 10 Year Challenge! 20 Celebs Who Are Proving That Immortality Is Real By Rockin’ The 10 Year Challenge! If you have any kind of social media account, then no doubt you’ve seen the 10-year challenge making its rounds about the place! In fact, it’s pretty hard NOT to notice it, the damn thing is everywhere! However, let’s put my disdain for it aside and put it to good use! 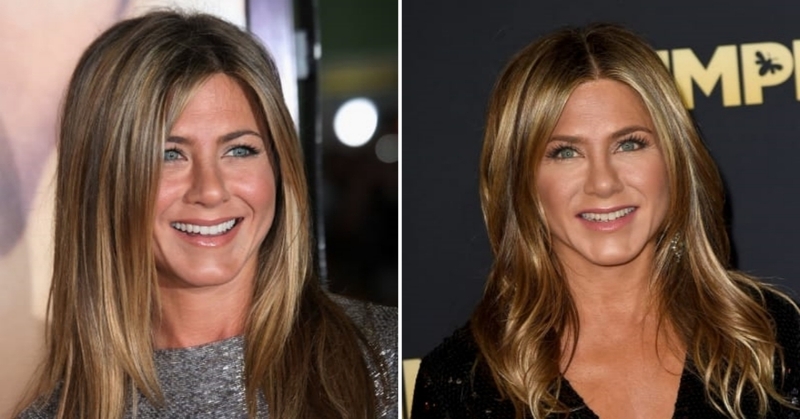 We’ve tried the 10-year challenge on these 20 well-known celebs and the results are SHOCKING! In fact, we’re pretty sure that the fountain of youth is real…and we need to find it, like, RIGHT NOW! Whatever it is, we’ll have ten of what these guys and gals are having, because it’s obviously working! I honestly wouldn’t be able to tell which one was 10 years ago and which one wasnow, here! If you can’t either, then 10 year ago Rudd is on the LEFT!! I think he actually looks younger now, to be honest! Amazing! Wow! Are we completely SURE that these pictures are 10 years apart!? Because they basically look exactly the same! I’ll definitely have what Gabriele is having!